Emerson’s Alan Novak, leader of the Mining and Power Industries teams, provides an update on the massive Oyu Tolgoi mining project in Mongolia. Rio Tinto announced last week that they have begun shipping copper concentrate from the Oyu Tolgoi mine in Mongolia. Oyu Tolgoi is a significant investment; some estimates put the total cost at close to $10B when complete, that offers great potential returns to both Rio Tinto and Mongolia. Mongolia has significant undeveloped ore reserves and is in close proximity to the world’s largest consumer – China. The Oyu Tolgoi Copper and Gold deposit is extensive, with mine life projected to be at least 50 years. It is also expected to be the third largest copper producer in the world when fully operational. There are many challenges when developing reserves in remote locations; political stability, availability of skilled labor, water, etc. and Mongolia is no exception. 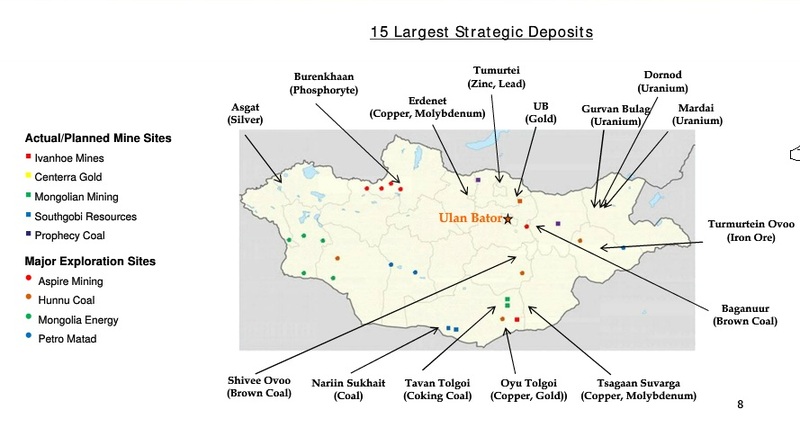 The development of the Oyu Tolgoi project (and others that are pending in Mongolia) face numerous obstacles and yet the parent companies are willing to forge ahead based on the potential of the underlying ore body. In Rio Tinto’s case, it also provides diversification of its revenue stream (currently 80% of Rio Tinto revenue comes from iron ore). Development of reserves such as Oyu Tolgoi also generates significant revenue for the local economy. It is estimated that when full production is reached in 2020 the Oyu Tolgoi project will account for 30% of Mongolia’s GDP. The project faced several years of uncertainty due to political changes and the potential renegotiation of government contracts, both of which have now been resolved. Only time will tell if Mongolia has now put a structure in place to attract developers and establish itself as a major producer in the global minerals market. Posted Monday, July 15th, 2013 under Metals, Mining, Minerals.